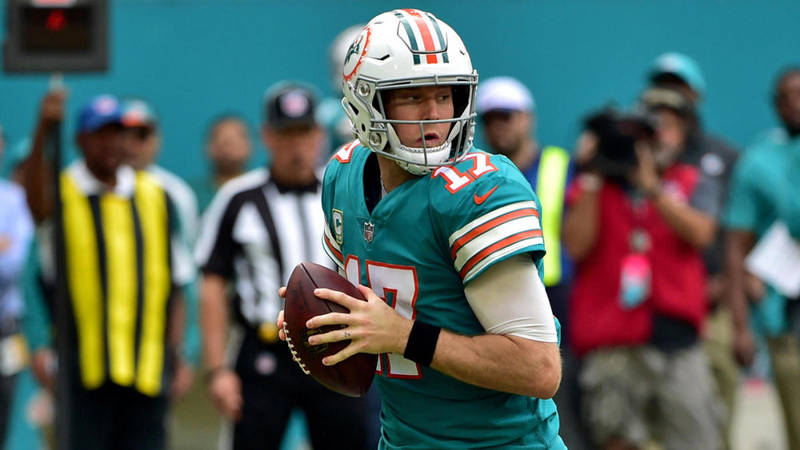 Slated to make $18.7 million in base salary coming into the new league year, it was clear that the Miami Dolphins were not going to allow quarterback Ryan Tannehill play under that contract in 2019. The question was always if they would make him a cap casualty, if there was no trade market for him at his price point, or not. To the Denver Broncos, Joe Flacco was worth $18.5 million in salary in 2019, so it would not be unheard of for a quarterback like Tannehill command the same, but after Washington traded for Case Keenum and the Jacksonville signed Nick Foles it seemed like Tannehill’s chances to be a Week 1 starter were slim to none. At an $18.7 million number, Tannehill had no trade value to NFL teams. Still, the Dolphins figured out a creative way to get something back for Tannehill’s rights: restructure his contract, pay his signing bonus and later trade him. By dropping his slated 2019 cash from $18.7 million to $7 million (something Tannehill must have seen as his going price as a free agent or he would not have agreed to the restructuring and just forced a release), Miami made him a much more tradable asset. On top of that, the team agreed to pay him a $5 million signing bonus, meaning the team trading for him would only have to pay him $2 million in 2019 in what functionally is a cash swap of $5 million. This trade had all of the confusing factors: a cash swap, late-round picks, and future picks. In an effort to clearly define if Miami “won” or “lost” this trade, we have to look back at the Houston-Cleveland cash swap trade of Brock Osweiler to define the draft value of cash. The first and most important thing to note about the Osweiler trade is that the value Cleveland ended up getting back was not equal to what it was perceived to be at the time. The trade terms were as such: Cleveland would send the #142 pick in the 2017 draft to Houston in exchange for eating the $15,225,000 remaining in Osweiler’s guaranteed salary, the #188 pick in the 2017 draft and the Texans’ 2018 second-round pick. The point about perception versus reality revolved around that 2018 second-round pick. At the time, Houston had won their division with a 9-7 record, despite playing Osweiler and Tom Savage in 2016, and had a Vegas win total of 8.5 set for the 2017 season. From 2016 to 2018, the average originally-owned second-round pick slot for a team with a record between 8-8 and 9-7 was 50.9, roughly the 51st pick in the draft. Cleveland’s Sashi Brown was ahead of his time in thinking that future draft picks do not actually have less value, but you cannot in good conscience believe that he foresaw that Houston, coming off of making the playoffs, was going to go 4-12 the following season. The implosion of the Texans turned that pick that was thought of as one close in value to the 51st pick in the draft heading into the season into the 35th pick in the draft, a much more valuable asset. If we really want to isolate the value of money to a draft pick, we have to treat that second-round pick like it was the idea of the 51st pick of the draft, the offseason projection for the Texans, not the 35th pick of the draft, which in reality it ended up becoming. That, by far, is the most important context to look at the Osweiler trade in moving forward. From Brown’s perspective at the time, he probably thought of the Osweiler trade in these terms: pick #142 for a pick around #51, pick #188 and eating $15,225,000 cash. According to a post by Harvard Sports Analytics, their updated version of the draft pick value chart had the 51st pick in the draft at the cost of +145.6 points of draft value, the 142nd pick at +68.0 points and the 188th pick at +45.6 points. Based on Houston’s preseason projection (51st pick for their 2018 second-rounder), Brown should have assumed that the trade netted him +123.2 points on the draft value chart, roughly worth the 69th pick in the draft. Houston being much worse than expected added +25.8 points in value on the trade, the difference between the value of the 69th pick and the 49th pick, but we have no evidence that Brown thought significantly less of Houston going into the year than the average sportsbook. 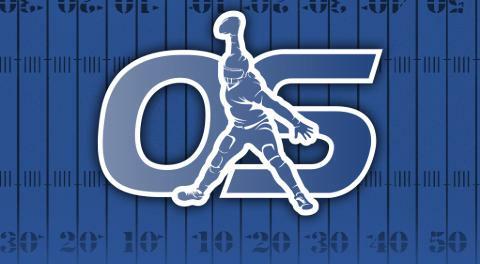 It is important not to play the results when future draft picks are involved, as the perception of those picks at the time of the trade is important. Okay, now that that’s cleared up...the Browns got back a projected +123.2 points in draft value, per Harvard Sports Analytics, in return for eating $15,225,000 million in cash from Osweiler’s contract in 2017. If we are trying to find the modern value of $1 million in cash relative to draft capital, that is the starting point. First, though, we must adjust for inflation. In 2017, the salary cap was $167 million but has since grown to $188.2 million. In terms equal to the percentage of the current salary cap, Cleveland ate what would be worth $17,157,754 in today’s dollars for +123.2 point in draft value. When you contextualize the perception of where Houston was slated to pick in 2018, the inflation of the salary cap since 2017 and Harvard Sports Analytics’ draft value chart, the Browns bought draft capital at the price point of +7.18 points per $1 million in today’s money. Finally, we can break down Miami’s returned value on the Tannehill trade. To refresh, the terms were: Miami would trade their 2019 sixth-round pick (#188) for a 2020 fourth-round pick, a 2019 seventh-round pick (#233) and the eating $5 million. While win totals are not yet posted at sports books, ESPN’s Bill Barnwell, who has a history in the gambling world, projected Tennessee’s win total to be 8.5 wins in 2019, which passed the sniff test of where books will hang the line. Over the last three years, teams with 8-8 to 9-7 records on average were slated to pick 121.85 (roughly 122nd pick) with their original fourth-round pick. We can say now, like we can do retroactively with the 2018 Houston second-rounder, that the 122nd pick is a fair number to think the Dolphins believe they will be receiving in this trade. Per the Harvard Sports Analytics draft value chart, the 122nd pick in the draft is worth +80 points and the 188th pick in the draft is worth +45.6 points. The chart does not run long enough to include the 233rd pick in the draft but based on de-escalating values at the end of the chart, it would be fair to assume that the 223rd pick is worth roughly +25 points. If we take those values to heart, the Dolphins received +59.4 points of draft value for cash exchange of $5 million. That makes their return per $1 million spent +11.88 points of draft value, an 65 percent increase on Cleveland’s +7.18 points per $1 million. To put that into perspective, had the Dolphins traded $1 million at the rate it was during the Osweiler trade, they would have made +35.9 points of draft value (roughly equal to pick #212.) Instead, they made +59.4 points of draft value (roughly equal to pick #158.) That is an increase of 54 draft slots of what we assumed to be the market rate coming into the offseason and should be looked as a major win for Dolphins general manager Chris Grier. As we know with the Houston implosion, though, perception at the time of the trade does not have to match reality. What is the best case and worst case scenario that Tennessee 2020 fourth-round pick? Even if Tennessee wins the Super Bowl in 2019, Miami’s worst case scenario has about a 40 percent increase in draft value (based on Harvard Sports Analytics’ numbers) on their bang for their buck than the assumed return on the Osweiler cash swap. At the high end, the Dolphins stand to make double the return per million in this trade than the Browns made off of eating Osweiler’s guaranteed salary two off-seasons ago. This might not be the last time the Dolphins make this type of move. Armando Salguero of the Miami Herald stated they might eat some of pass-rusher Robert Quinn’s salary to find a trade suitor. If they add $5 million in dead cap to Quinn’s trade, the same amount they added with Tannehill, the team will still save $6.8 million on their 2019 salary cap. That, according to Spotrac, would put them at north of $40 million in cap space this year. That number is important because the holy grail of a cash for picks swap rests in Washington. Currently, injured quarterback Alex Smith holds a $52.6 million dead cap ($31 million in guaranteed salary over the next two years and $21.6 million in prorated signing bonus), putting the Redskins in a very similar situation to the Houston Texans in 2017. Washington will have to assume $20.4 million in dead cap no matter what, as Smith’s signing bonus has already been cashed just not yet accounted for on the cap, but the team can save $31 million in cash and future cap space if they can find a buyer on his contract. If the Dolphins add $5 million in dead cap to Quinn’s deal, they will still have enough cap space to assume the Smith dead cap all at once in 2019 while also still being able to sign their draft class of rookies. Only 10 teams in the NFL still currently have $31 million or more in cap space and only four other teams, the Colts, Jets, Texans and Browns (barely), have the cap space to eat $31 million in dead cap and sign their slated rookie selections to contracts. Washington does not have many options and Miami is a clear buyer. Based on the +11.88 points of draft value to $1 million spent price point that the Tannehill trade has established as the Dolphins asking price, eating $31 million would likely be worth something close to +368.28 points of draft value from the Havard study to Miami. That is roughly equal to the fourth overall pick in the draft or Washington’s 15th overall pick (+264.7 points) and second third-round pick (#96: +98.6 points) in this upcoming draft. Before the Osweiler trade, we had really never seen anything like a cash for draft asset swap, but there is a very real possibility now that the Dolphins would be in the market for assuming $41 million in 2019 at the cost of something like #15, #96 and two 2020 fourth-rounders.